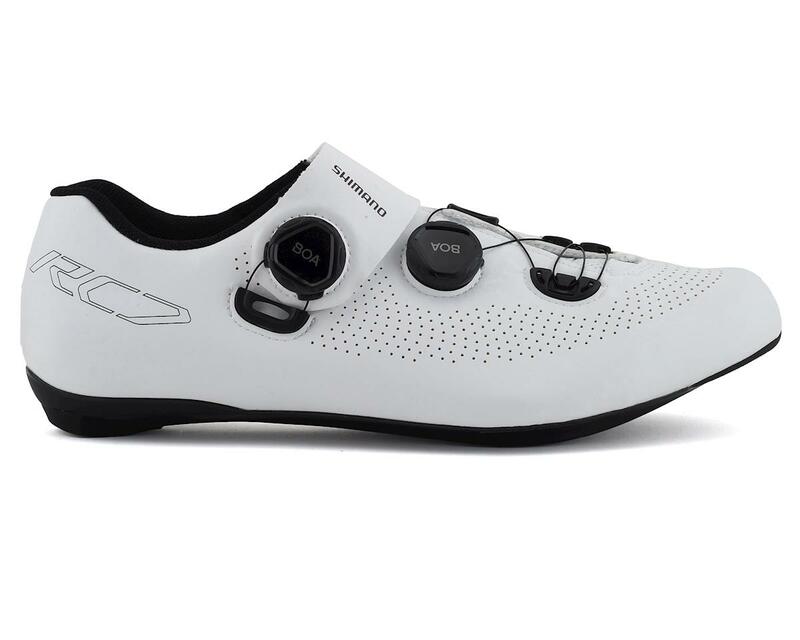 The Shimano RC7 Road Cycling Shoe is a full-featured competition shoe optimized for comfort and pedaling perfomance. Dual Boa® L6 dials allow micro adjustments to the Powerzone wire guides giving you a just right fit that's secure and comfortable. 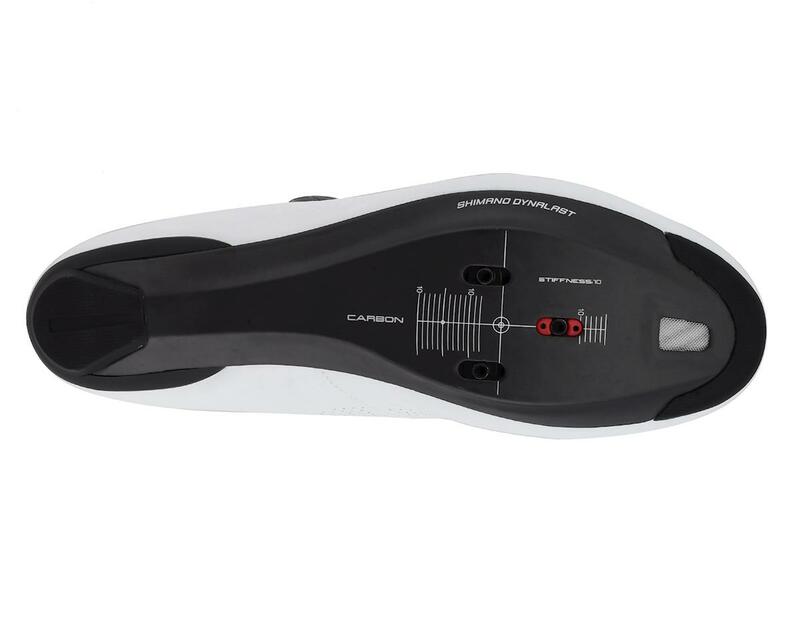 The lightweight carbon fiber composite sole has a high stiffness rating of 10 out of 12 on Shimano's scale, ensuring you'll be putting your power to the pedals, while the synthetic leather upper with perforated venting means your feet will be comfortable going the distance. 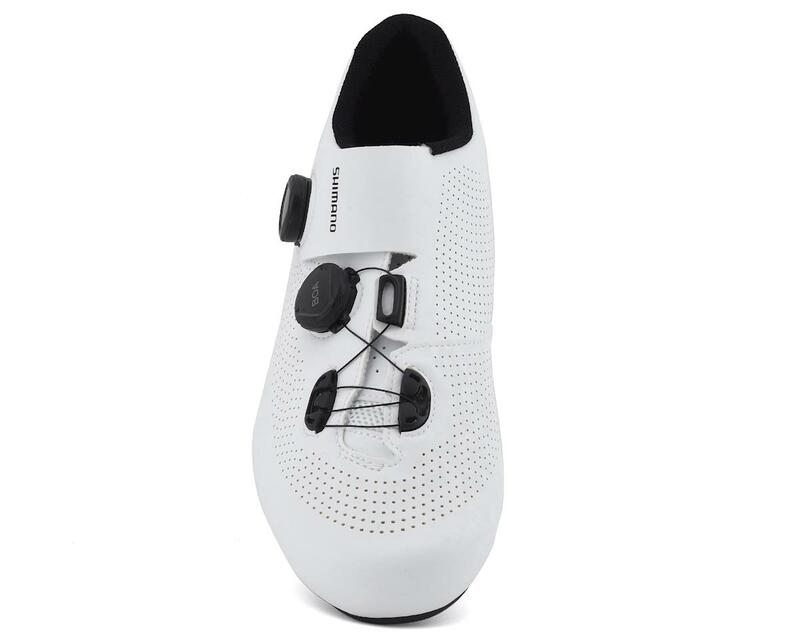 If you're looking for a shoe that you can wear on every ride route, and race day, the RC7 has got you covered.